Just as our fall sports are dying down, winter sports are gearing up. Yesterday, Jen mentioned about some of the Mini-Magnolias playing basketball and that also means that competition cheer season is starting! Little Mama's team had their very first competition of the season this past weekend and it was SO much fun. They have worked so hard since the summer conditioning, training and learning their routine, but no matter how much preparation you put into it ahead of time, there is always last minute stuff that arises and there was a lot of last minute stuff this year. Everyone was excited, but nervous also and I wanted to give them team some sort of little treat that helped get them excited and prepare for the big weekend! 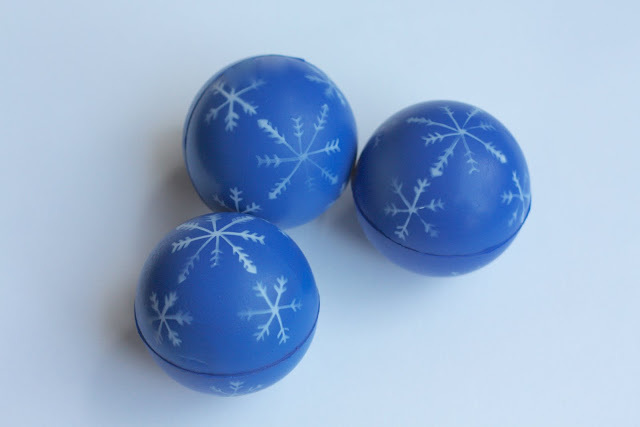 I was on Oriental Trading looking for ideas for our winter class parties and saw all of the snowflake stuff and that got me thinking. Her team name is ICE and the snowflake stuff went along with the team perfectly! 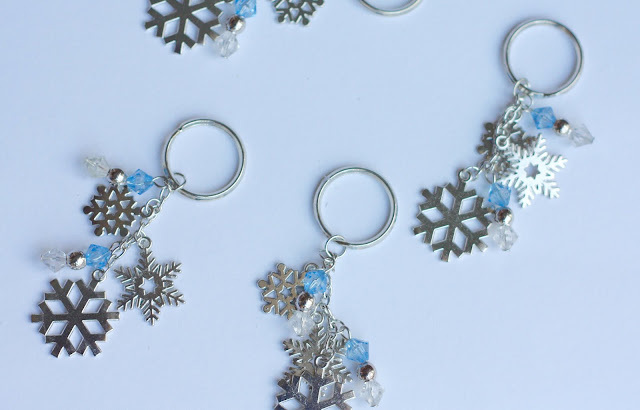 I decided to come up with some sort of little good luck goodies with the snowflake stuff. 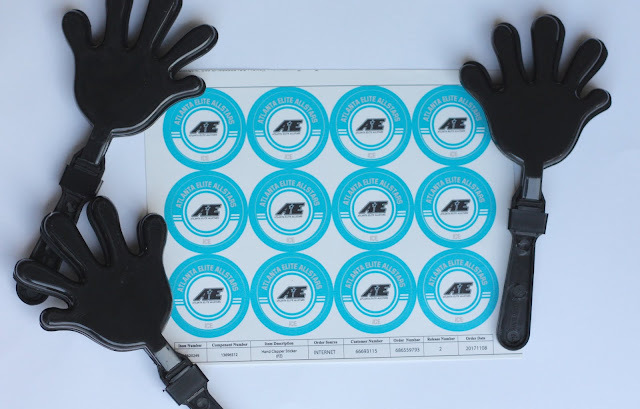 When I started looking a little more and realized that I could do personalized team support items also. I had NO idea Oriental Trading had those types of products, but was so happy to discover them. 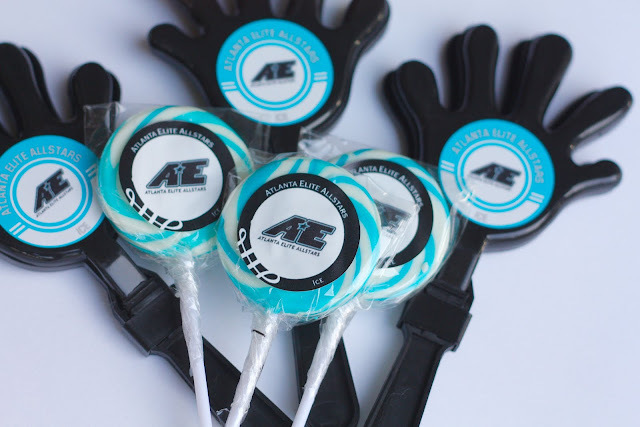 For the lollipops and clappers I designed the stickers with the gym logo and it was shipped on a sticker sheet so all I had to do was put the stickers on the items. It was so simple and super cute! 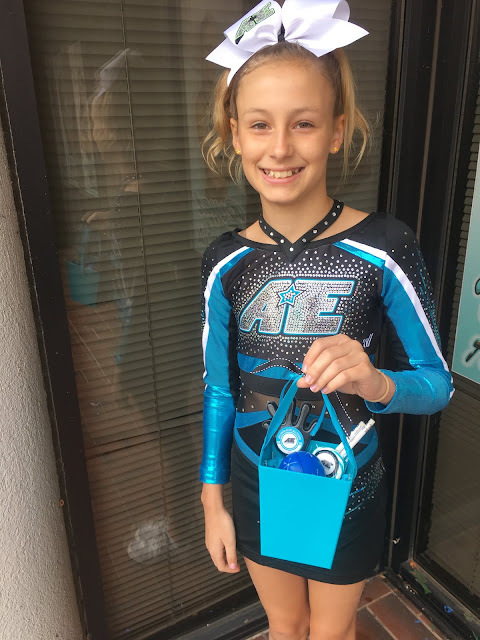 The items came in every color and I could personalized the sticker color also so it was perfect and matched her team and gym colors exactly. 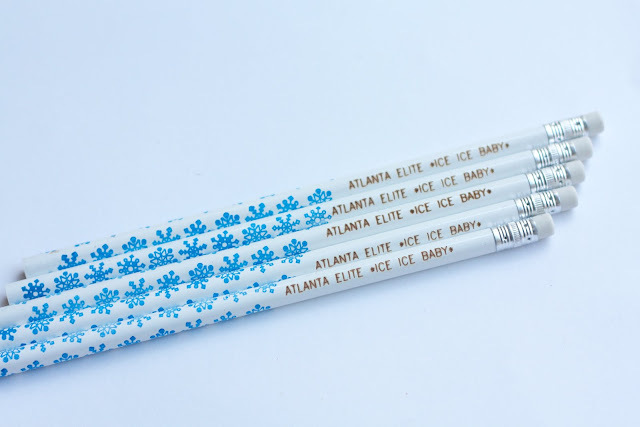 I found pencils that could also be personalized and was going to do a solid color until I saw the snowflake ones and knew those would be perfect. Their team chant is a throwback to Vanilla Ice days and they end every practice with "Ice, Ice Baby" so I knew that was what I had to get on them! 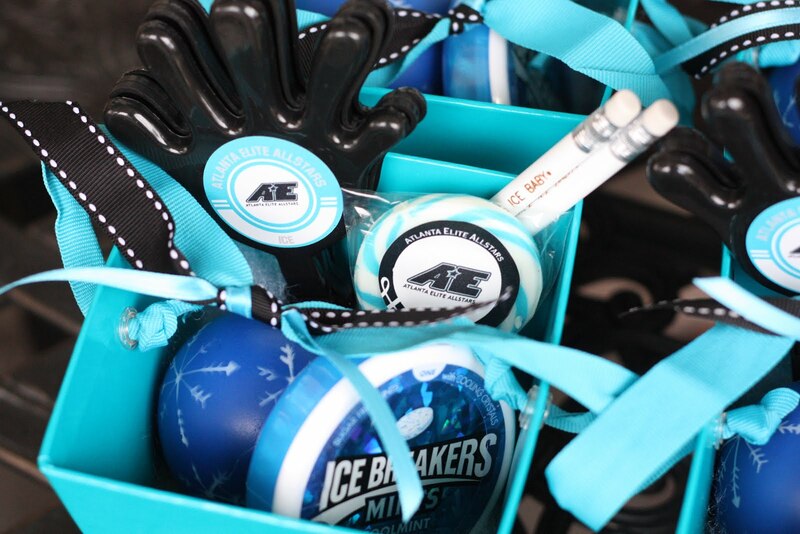 I used these buckets and also got the snowflake keychains for them to put on their cheer backpacks and these snowflake stress balls. 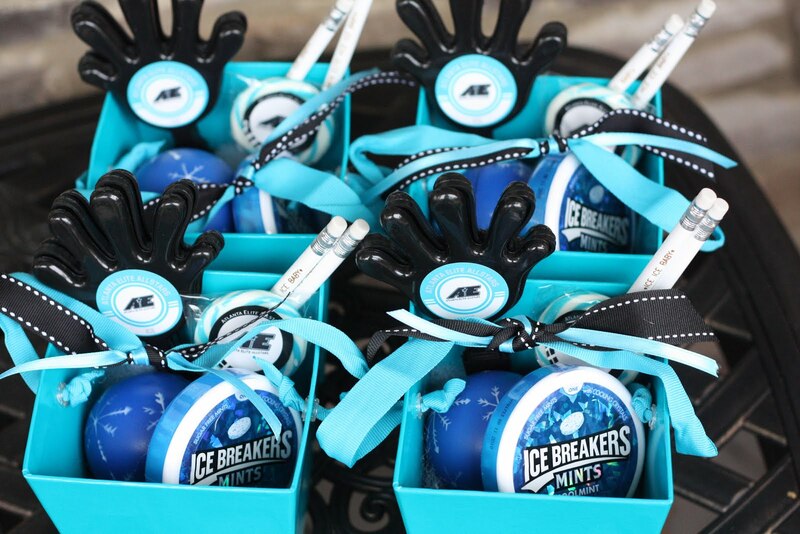 I added Ice Breakers mints to the buckets and they were complete! I could not contain my excitement about how cute these turned out and I was so excited to give it to them at the pep rally before the competition. Little Mama had been out of town for a school field trip so when she saw them when she got home she was over the moon with excitement and couldn't wait to help pass them out to her teammates. All the kids (and coaches) loved the personalized details on the treats and it must have done the trick because her team did amazing! 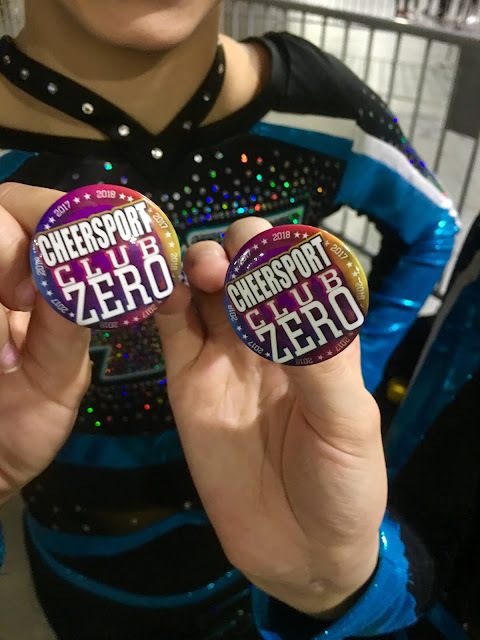 They had zero deductions and were only .07 away from first place which was great for their first competition! 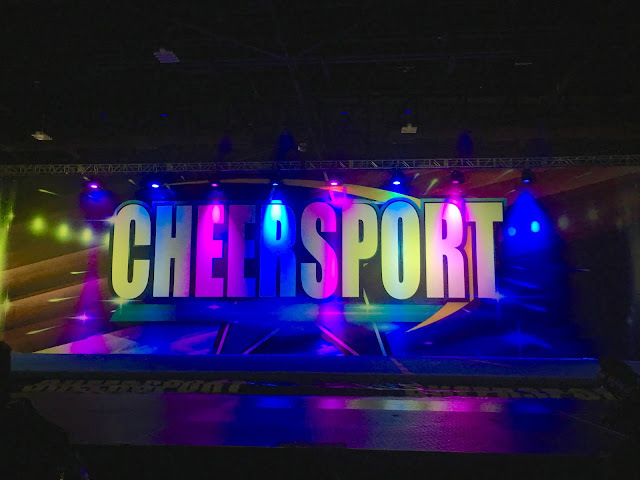 We have another one this weekend so I can't wait to see how they improve each week! 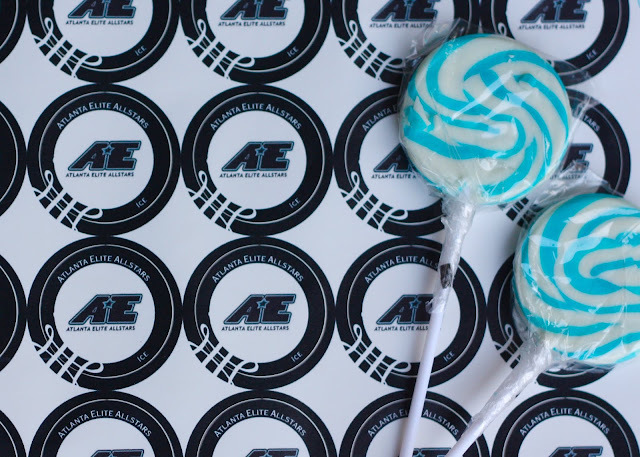 These goodies were such a hit that I know Oriental Trading will be my new go-go for all of our team support treats. Between soccer, basketball, baseball and more, I know we'll be able to come up with all sorts of variations on good luck treats like this!